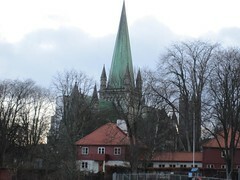 Recently I went to Norway to teach a private SharePoint Designer 2010 class to a consulting firm in Trondheim, Norway; Enable AS. The Saturday after the course I planned to fly over to London to present at the SharePoint 2010 Evolution Conference the following week and then go home. I expected this trip to be quite special going to Norway (which was new for me) and then seeing a bunch of friends and SharePoint folks in London. Unfortunately things didn't go as planned thanks to the volcano in Iceland (Eyjafjallajokull) and I never made it out of Norway for the conference and thus, missed London all together. As I write this, I have yet to make it out of Norway (six seven days [my flight just got cancelled again] after I was supposed to leave). I'm working on another post documenting the travel/stranded experience for my own personal record that will become a blog post, but I'm going to pass on that now. 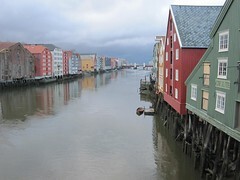 For now, I want to write about Norway. 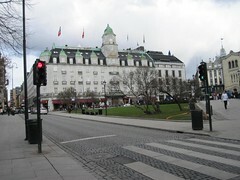 Norway was completely foreign to me. I knew where it was but not much else. Aside from the general area of where I was ultimately ending up, I didn't know where other major cities were, what the food was like, the people or the customs. That was until the week before. For those who are as in the dark as I was, in Norway they speak Norwegian primarily but virtually everyone will switch over to English when you ask them to. Pretty much everyone speaks perfect English. The people are also very friendly and helpful. Everyone was incredibly pleasant. The food is fantastic! There's plenty of stuff Americans are used to (quite a few hamburgers actually), but they are known for their fish. Specifically the salmon and cod were delicious... I'm about fished out by now. 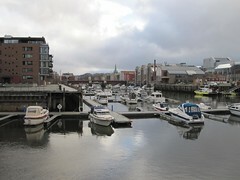 Trondheim, where I was teaching the course, is a little college town of about 120,000 off a fjord in central Norway. 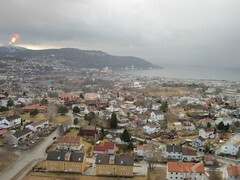 I didn't have a ton of time to do any sightseeing... really wish I could have seen some of the more cavernous fjords. However my client/students were very hospitable in taking me out to dinner a few times and meeting up for drinks. When they heard I was stranded for another day, a few got their spouses together on a weekend evening and met up with me for drinks and dinner again. We wrapped up class every day around 4p and since it stays light until 8:30p or 9p, it game me time to walk around and take a few pictures. Wake up to rain pelting my window. By the time I'm showed and downstairs for my pickup, it's sunny. On the way to the office, it goes between rain/sleet/snow. Before we start class, the sun is out, but before long it's snowing a little. Over lunch, it's snowing pretty hard... so hard you can't see some buildings. By the time we start class, it's very sunny again (making it hard to see the screen from the projector). Oops, here comes the rain again! Nope... more sun... wait... here comes the heavy snow again! Many places you go they talk about how the weather changes all the time. Uh... this place it REALLY changed all the time. As you'll see from my next post about bring stranded, I got to spend some time <against my will thanks to the volcano> in Oslo. 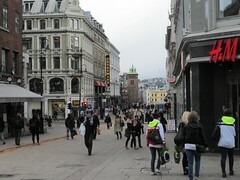 Again, the people were very friendly and I spent some time walking around downtown Oslo. 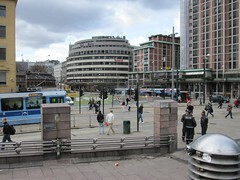 Interesting and very walkable city. 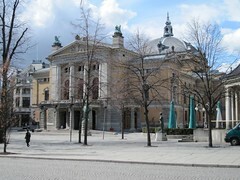 Here are a few pictures I took while in Oslo, and more I uploaded to a set.